April 16, 2019 11:21 am. Cambridge trainers Roger James and Robert Wellwood were ecstatic with Rondinella’s Group 1 Sydney Cup (3200m) fourth-placing at Randwick on Saturday and they are now eyeing spring spoils with their mare, with a potential Group 1 Cox Plate (2040m) tilt on the cards. “I was proud of her (in the Sydney Cup),” James said. “At the beginning of the preparation she was a one-win horse. “In her last three runs she has run third behind Melody Belle and Danzdanzdance on a bog at Auckland at Group One weight-for-age. “She ran third in the Tancred (G1, 2400m) behind Avilius, who is unbeaten in Sydney, and probably the second pin-up horse behind Winx in Australia. That was again on a bog. While pleased with the result on Saturday, James said Rondinella still did a bit wrong and will be a better horse in the spring. “She never gave the jockey (Sam Clipperton) a rest at any stage of the race and he gave her a peach of a ride, but she just didn’t button off for him. Melbourne is now beckoning Rondinella in the spring, but James said the Melbourne Cup won’t be a likely target for his mare. “I was very happy with her going into Saturday, but I have my reservations whether she will ever be a true, seasoned two-miler,” he said. 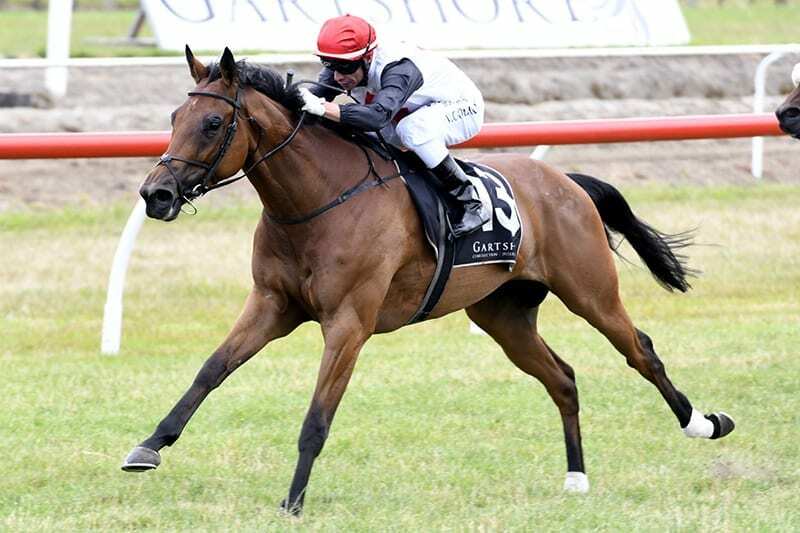 “I think she has got a little too much brilliance and I think 2000 to 2400m is probably her best distance. “It’s too early to make any plans, but personally I think she has enough brilliance to be a Cox Plate (G1, 2040m) horse. James believes Rondinella could be the best horse he has had since four-time Group One winner Silent Achiever and is excited for what the future holds for the daughter of Ocean Park. “I made the bold statement when she won a maiden race that I thought she could be the best I’d had since Silent Achiever and I have never had any reason to regret it,” he said. “We have asked some massive questions of her this preparation and she hasn’t disappointed. “Given the right preparation and the right track conditions I think you will see a big improvement from now to next season.